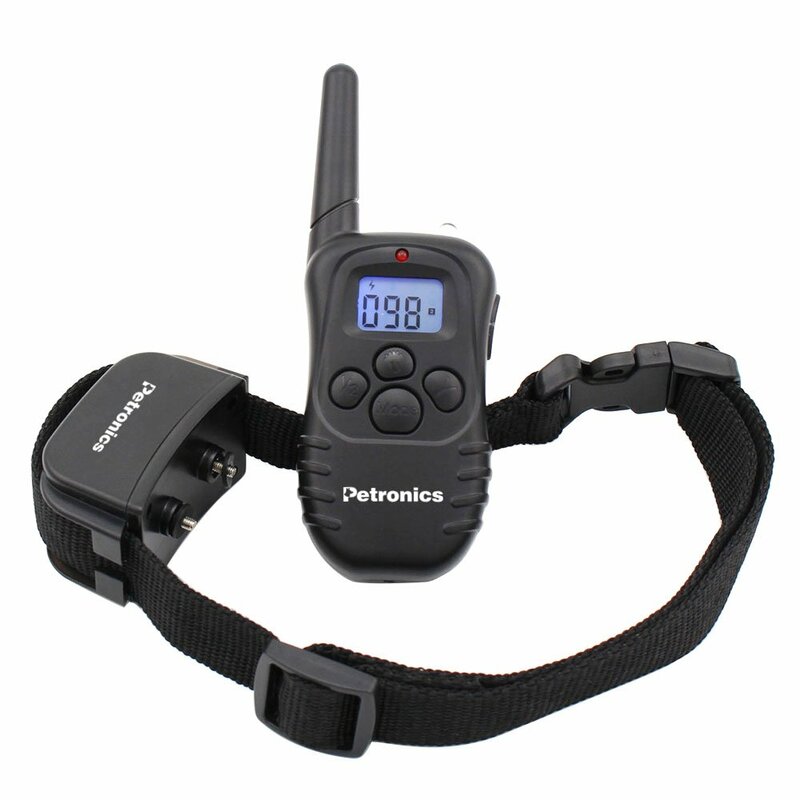 Home › Best-Sellers › Petronics 330 Yards Rechargeable Shock Training Collar With Remote Electronic..
Petronics 330 Yards Rechargeable Shock Training Collar With Remote Electronic..
Quickly synchronize the transmitter with collar receiver, within 10 seconds; Ingenious design over 3000 different identity codes that prevents conflict with other similar devices when no obstacles in between. 300 meters remote range and 4 functional modes: vibration, light, beep and static shock, With 100 levels of vibration and static shock you will be able to find the right correction for your pet's personality and size. Rechargeable and Power Saving; Built-in high capacity lithium rechargeable batteries. Durable and adjustable (14 to 23 inches long) nylon strap which suit for dog sizes From 15 to 100 lbs, CE & RoHS approved, 100% tested product with 1 Year Warranty!